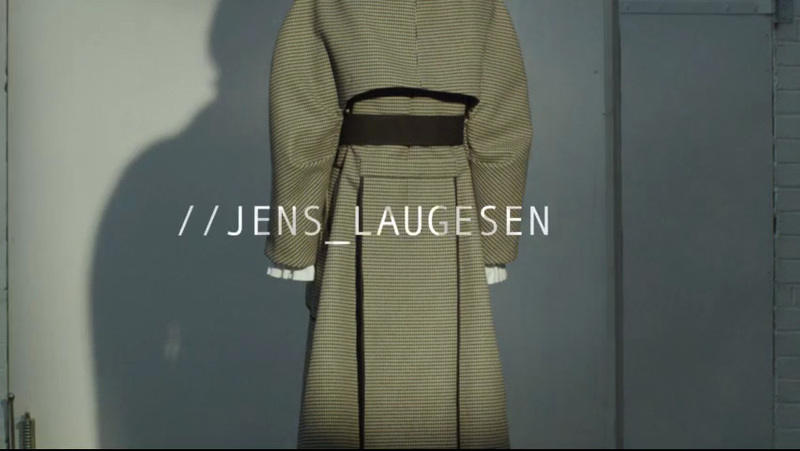 London based Danish Designer Jens Laugesen announces his return to the fashion scene with a new design trilogy that will launch with a film presentation during London Fashion Week this February 2018. The Danish Arts Foundation supports the new collection that will be exploring the creative vision developed by the designer by revisiting the design language and the DNA of the //JENS_LAUGESEN brand, which became known for ‘honing a new vocabulary of fashion’. The film titled EDEN - the woman who fell to earth is an homage to the futuristic vision of Nicholas Roeg in the iconic film featuring David Bowie, projecting several facets of an alien man descending on earth. Featuring Eden Clark, the film is a gender fluid vision of the creative conceptual process that the designer developed in the past four trilogies under the ‘Hybrid Reconstruction’ design philosophy. The reconstructed time-lapse film, directed by photographer Simon Eeles and styled by Anders Sølvsten Thomsen with clothing from the HYreCON 01 AW1819 collection, takes place in an imaginary space oscillating between past and present, depicturing a woman’s search for some sense and purpose in the world of contrast marked by a pre/post digital hybrid aesthetic that explores the relation between inner and outer emotions.